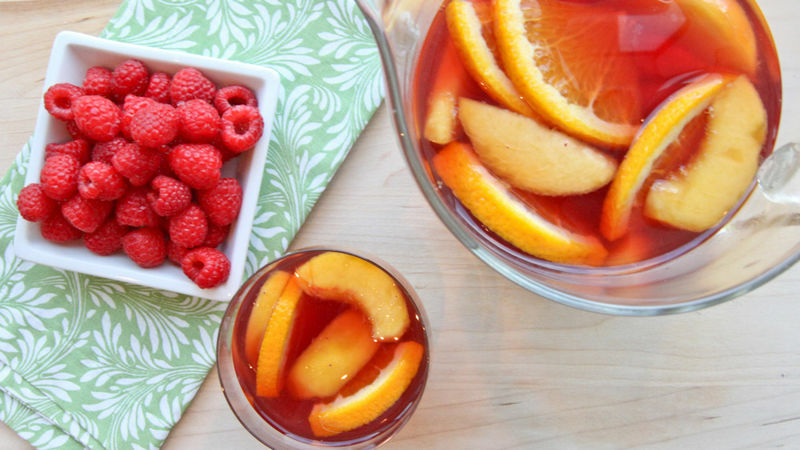 In large pitcher, mix peach slices and raspberries. Stir in orange juice, liqueur, wine and simple syrup. Cover; refrigerate 2 to 4 hours to allow flavors to blend. Garnish with slices and a splash of sparkling water. *To make simple syrup, heat equal parts sugar and water in saucepan over medium heat, stirring frequently, until sugar dissolves. Store covered in refrigerator up to 1 month.